Arnold joined Rajah & Tann Singapore LLP as a partner in 1999. His primary focus is in investment funds and related regulations. He leads the Funds & Investment Management Practice Group that provides advice on fund management and investment advisory services and generally on the establishment of both onshore and offshore investment funds. 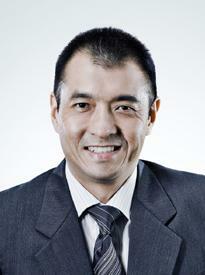 His team represents a broad cross section of investment managers in Singapore across various asset classes. Other clients in related industries include private client and wealth management units of banks, and other financial institutions such as fund administrators, investment fund distributors, trustees and custodians. Arnold is the only lawyer in Singapore who has recently been recognised as a thought leader for private funds in in Who’s Who Legal: Thought Leaders – Global Elite 2019 since 2018. In addition, he was ranked in Best Lawyers 2019 for private funds. He is also named in Practical Law Company's Which Lawyer, Chambers Asia Pacific and Euromoney's Guide to the World’s Leading Investment Funds Lawyers as a leading lawyer in Singapore for investment funds. Arnold advises clients in the establishment of both onshore and offshore investment funds including hedge funds, private equity and real estate funds. He also assists clients on all regulatory matters involved in establishing a fund management presence in Singapore. This includes applying for licenses under the relevant securities laws in Singapore or operating under applicable exemptions, as well as advising on ongoing compliance obligations and business conduct rules. The practice also assists investment management clients on corporate matters including seeding arrangements with professional seeders, shareholder agreements, employment and service agreements. Capital Asia Magazine (ISI Publication – Hong Kong) June 2001 – "Fund Management In Singapore"
Capital Asia's Guide to Hedge Funds 2002 (ISI Publication – Hong Kong) – "The Regulation of Hedge Funds in Singapore"